I always want to do something cool for New Year's Eve, but with only one exception ever, that never happens. You can't go see Maroon 5 on NYE every year. Angie and I are so boring with our plans that we couldn't even convince ourselves to go shopping after eating lunch. I wanted to go find some sweaters (because what I have are soooooo terribly old), but I didn't. Then a dramatic, tear-filled afternoon happened. I'll spare you the details. Thankfully, Kerri and Julie took pity on me and let me in on their plans for a low key evening over at Julie and Sam's. As in watching Hoarders and bringing the New Year in via a game of Farkle. Kerri had to go across the street and get Toby so that he wouldn't freak out from fireworks. Though low-keyed, it most assuredly beat watching House Hunters International at home by myself all night with a crochet hook in hand like the old woman that I am. I'm very thankful for my friends getting me out of the house. I need out of the house! 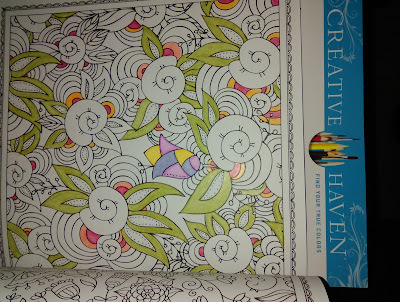 For Christmas, Mom and I joined the bandwagon and bought each other coloring books. She thought they were neat, and this kind of thing is right up my alley. Sometimes lettering crafts is actually a form of stress release for me -- when I'm not stressed out trying to get 20+ items in one week in between craft show. It has seemed odd to take two days off work to have a four day weekend last week with Christmas. Other than Thanksgiving (when I actually had a three day craft show) I just haven't had a span of more than one day off since last Christmas. After taking another 4 day weekend this week, I'm going to be so confused not know what day of the week it is. Add to the day job, I have been working on crafty product for months and months. I've actually been able to take a break from that too. It's been so odd to not be working on the latest project. I've needed the break though. Even just on a mental level. 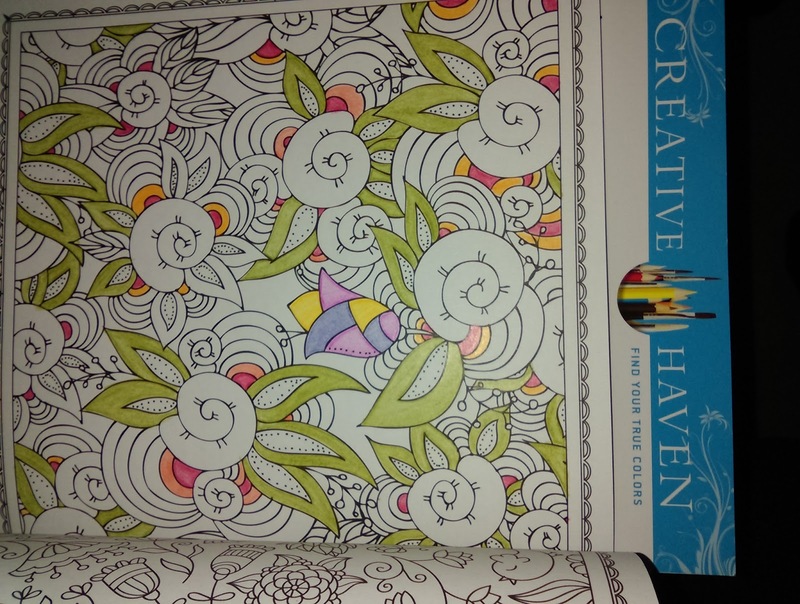 I know that coloring is supposed to relax you, but I have a question. Are you supposed to fall asleep while doing it? 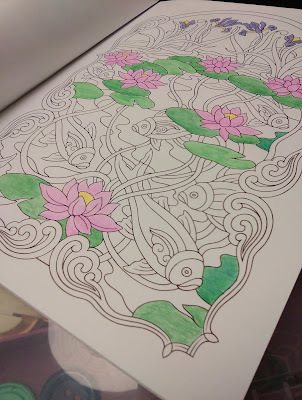 Maybe it's just the sleep deprivation too, but it's a wonder I don't have huge stray marks all over the place because I started nodding off while coloring. One of my new year's resolutions really needs to be going to bed earlier. No staying up to color! So, last night I posted the briefest of posts about the upcoming season of The Bachelor. The video tease wasn't even accurate because it isn't 25 NEW women. There's a couple of old faces... Becca (Farmer Chris' runner-up) and Amber. Surprisingly, there is NOT an Ashley this season, but there are FOUR women named LAUREN. Two Lauren Bs. Yeah, that's not going to be confusing AT ALL. I shall have to give them all nicknames from the get go. Poor Ben Higgins. Of course, he was Ben H. on his season, and not even my favorite Ben. I'm trying to psych myself up by watching previews, but that may have backfired. That subject line is as big a tease as Chris Harrison saying that the latest episode of The Bachelor will be the most controversial episode ever. In case you haven't figured it out yet (and if you haven't, what is wrong with you!?!? ), The Bachelor starts next week, and I'm committing to blogging on another season. Give me a week to regret it. I need my blog readership to go back up. That's my excuse. It's after 10 PM, but before the day passes me by, I wish everyone a very Merry Christmas! 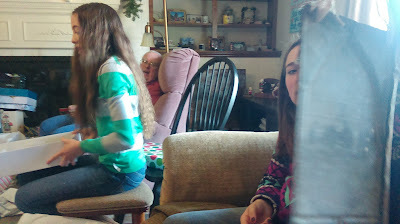 When exactly we have our family Christmas can vary from year to year. This year, it was Christmas Eve lunch. I hardly took any pictures at all, but this one means a lot this year. A few of you know how much this particular picture means right now, a reason why I've been quiet in some ways here on the blog about certain things. I'll just leave that at that. Often times on Christmas Eve, my parents and I go out to dinner and a movie. There was none of that this year since we aren't Star Wars fans, and I refused another Alvin and the Chipmunks movie. Maybe there still is a little bit of kid in me, but opening up all your presents on Christmas Eve makes for a long and boring Christmas Day. There's dad back around Paige. Mom must have found something good in her stocking! Those are cream sodas and cherry limeade bottles, by the way. Our family Christmas is set for Thursday noon. 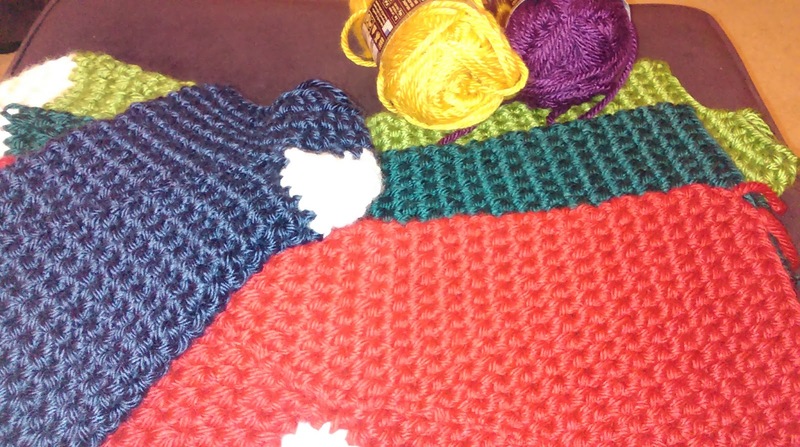 I still have two stockings to finish. I've done good to wrap Christmas presents tonight. At least I finished this cow last night. 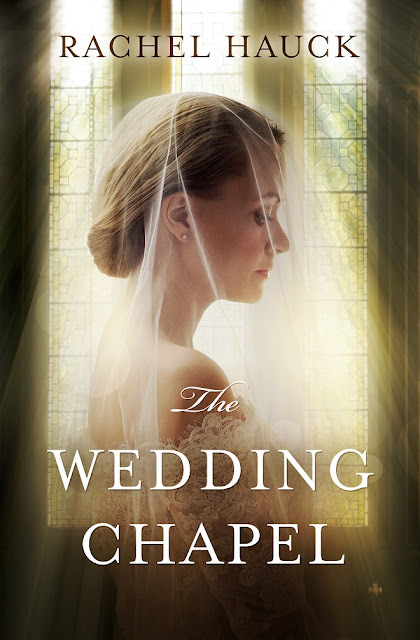 In a day when marriage seems disposable, USA Today best-selling author Rachel Hauck weaves a story that reminds us of love’s timeless truths. Hauck’s The Wedding Chapel (Zondervan/ November 17, 2015/ISBN: 9780310341529/ $15.99), a slip time story set in the late 1940s/early 1950s, captures the romance and hope of a post-war South while the contemporary timeline wrestles with the challenges and complications of commitment in the modern world. Q: Has a communication breakdown ever caused issues in one of your important relationships? I’m sure it has! I can’t think of any because I try not to let communications or misunderstandings hinder my relationships. I’d rather humble up, apologize and make it right. 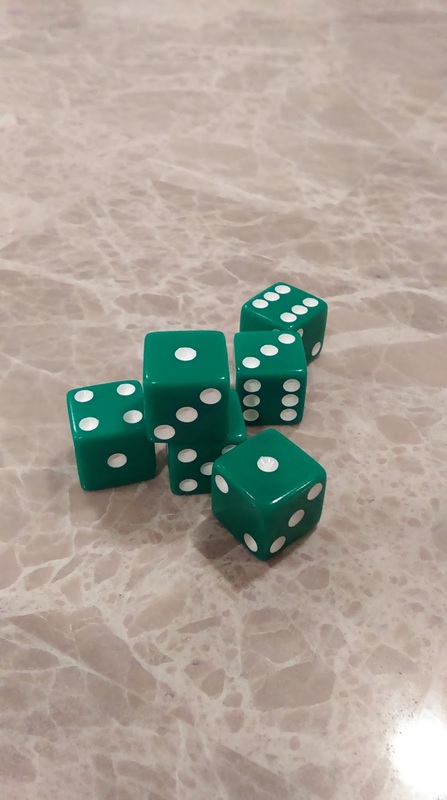 Q: Taylor and Jack marry impetuously, eloping only a few months after reconnecting, and they almost immediately start having issues. Why is the first year of marriage so hard? What advice can you offer to young married couples? I don’t think the first year of marriage has to be hard (though it is for a lot of people because it’s the merging of two lives, two wills and wants). Marriage, as a God-breathed institution, calls for selflessness. And that’s just hard for most of us — the whole dying-to-self thing. For couples who find themselves in conflict, I say breathe out, calm down. Sometimes situations seem large and impossible, but trust in the Lord to help you through. Get on your knees and pray! Go to a Godly couple for help. Learn to listen. Don’t take everything so seriously. Love well. Listen to each other, but even more, “see” each other. It took me a while to “see” what my husband did to show his love for me. If I’d waited for him to show love the way I did or the way I expected, we’d have had a lot of conflict. I prayed a lot too. There’s no wisdom like God’s wisdom! Q: How can we defeat negative patterns such as bad relationships or substance abuse, which sometimes seem to run in families? I’ll be blunt here. Jesus. The power of the Holy Spirit. There’s no program or pill that can do what He can do in our hearts. In Him, we can break those family iniquities. We don’t have to carry forward the abuse or alcoholism or whatever our ancestors did. Romans 12:1-2 says it best. “Be transformed by renewing your mind.” We take those old thoughts and patterns captive and replace them with the truth of God’s word. Here’s the definition of transform: to change in form, appearance or structure; metamorphose, to change in condition, nature or character; convert, to change into another substance; transmute. We’re given the command because it’s possible. Dig in and don’t give up! Q: How have you seen God at work even after you or someone in your life made a poor decision? I usually come out the other side of a trial a bit more humbled. God loves humility, and the best response I’ve ever had to trial was to get on my knees and pray, to lean into Him. I’ve seen God redeem relationships, finances and hearts, even bring physical healing. Q: Are there ever moments when we should give up on our dreams? That’s a great question! I think we have to evaluate our dreams constantly to see if they are realistic and if we have the heart, the time, the talent and the drive to do them. Don’t ever give up dreaming, but do make sure your dreams match who you are. Psalm 37 says God gives us the desires of our hearts; as we seek Him, He gives us dreams to dream! Joseph would’ve never imagined being a ruler in Egypt on his own. God put that dream in him then tested him until he was ready. 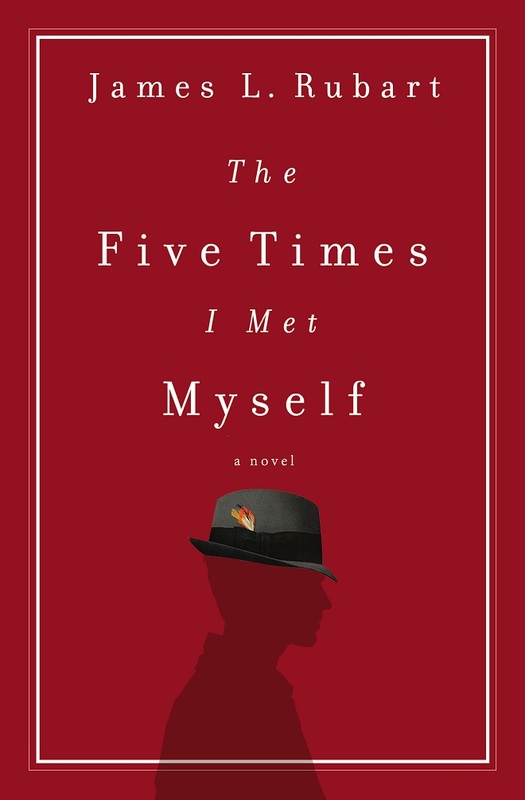 Q: You feature a villain in the book whose life has become rife with bitterness. Have you ever been tempted to give in to anger or jealousy? What do you hope your readers learn from this character? I work in a competitive business. Jealousy is always knocking. I just try to never open the door to it. God’s love and blessings are great enough for all of us. His blessing of another author does not take away His blessing from me! Never let your bitterness get the best of you. It only leads to pain and hurt, maybe even physical issues, and a distorted view of life. It’s not worth it. I see so many public figures functioning out of their wounds and bitterness, and their life view is based on experience, not truth. And it creates a distorted view of others as well as themselves. Last Christmas, I promised my family I would make Christmas stockings. We've had a mismatched assortment as the family has grown, and shrunk over the years. Some were the cheapest felt stockings you could buy. Sad looking stockings. So, since I made the promise, I've had all year to work ahead. We're having our family Christmas on Christmas Eve Thursday, and I only have two of six almost finished. I'll post pictures later in the week as I get closer to finished. No one was available to come to my house for a party and eat it, but I did have my annual dip it in chocolate day. I've been bribing the kids at church with goodie bags, including peanut butter balls. I melted white chocolate bark and did a whole bag of pretzel nuggets by the time it was all said in done (a little with left over milk chocolate), two bags of milk chocolate to cover peanut butter balls, and a bag each of semi-sweet and butterscotch chips to cover peanuts. By the time I was finished, I'm surprised I wasn't covered in chocolate. I guess it's officially Christmas now. I do have a bag of chocolate and mint chips left I can use with cashews. I'm sure if you read my blog, I have a post about you kind of like this every year. I hate to break the news to you, but I'm just not that into you. My tree is all up and decorated and pretty, but I've decided I don't even care. I said after all the time it takes to put together it was going to be a full month, meaning until the day after New Year's this year, but I know it's coming down the day after with serious thoughts of just skipping the whole process next year. Maybe the fact that I've been sick and am still trying to get over a cough has something to do with it. Maybe it's because until this weekend, I've been getting up early and going to events every weekend that I just have other things on my mind. I know the fact that there's been some family drama has played it's part. 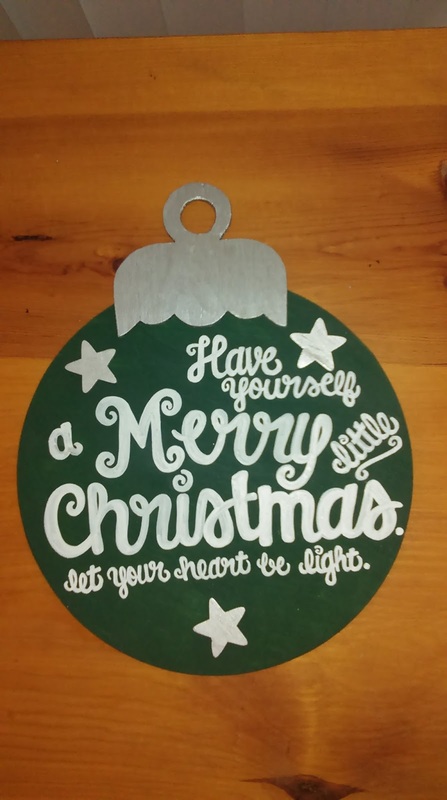 I don't think it's the fact that I have been making Christmas decorations since May or June and was anxious for Hobby Lobby to actually get their Christmas supplies out. The fact that it's supposed to be 70 degrees on Christmas day doesn't help. There's like one present I'm actually excited to give this year. I even told my brother we could skip the annual gift card exchange. This all actually makes me quite sad. Christmas should be a happy and magical time. From the reaction I've had on Facebook, I'm not the only one in this boat. All that I ask is that you be kind to me this week. Please be kind. Many people live their lives thinking, “If I just had a bigger salary, I would be happier.” They live life with ongoing and often unexamined tension related to money, finding themselves unable to escape the credit-card trap or free themselves from the fear of not having enough for the future. 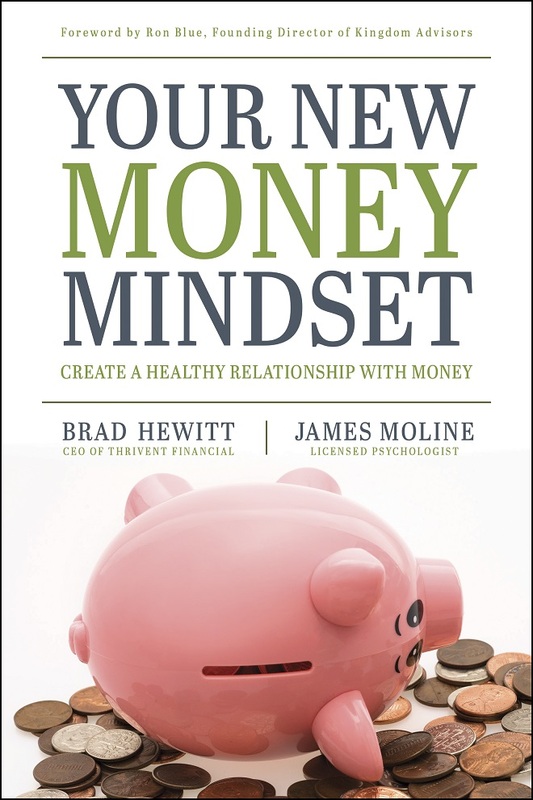 CEO of Thrivent Financial Brad Hewitt and psychologist Dr. Jim Moline write in their book, Your New Money Mindset: Create a Healthy Relationship with Money (Tyndale House Publishers/October 20, 2015/ISBN: 9781496407801/$15.99), the belief that simply having more will solve all money problems is completely false. Through personal anecdotes, scripture and timely research, Hewitt and Moline reveal that financial peace has much more to do with one’s relationship with money rather than money itself. They invite readers to spend more time examining their fundamental attitudes toward the financial resources they have and aligning those views with their core values — and it all starts in the heart. Defies the consumerism that infects our culture and sickens people’s hearts. 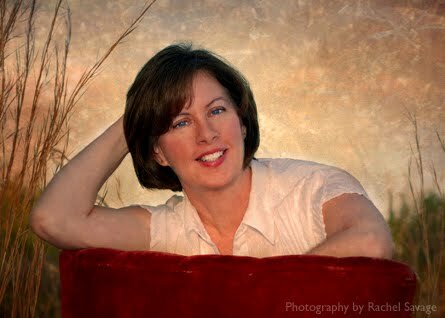 Shows readers how to approach the tension they feel about money so they can experience greater contentment and peace. Guides readers to live generously with their time, energy and paychecks. Provides an online assessment tool to help determine attitudes toward finances. 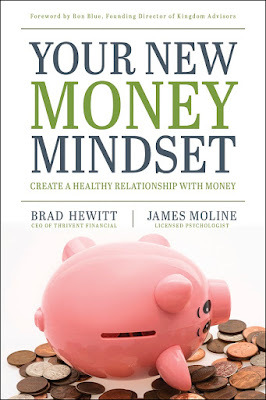 Regardless of their current financial situation, all readers are invited to journey with Hewitt and Moline toward transforming their relationship with money by remaking their heart. 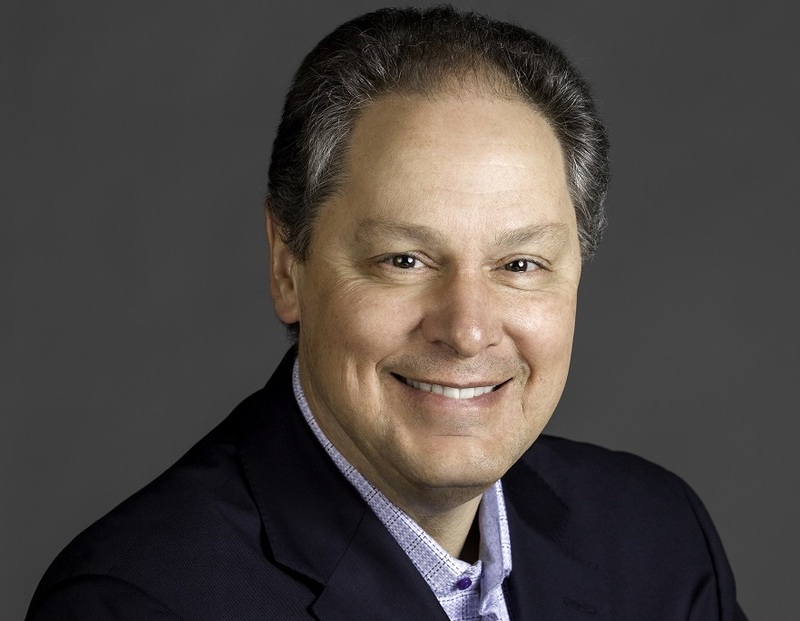 Hewitt also serves on the board of regents of Concordia University in St. Paul, Minnesota, as well as on the boards of Habitat for Humanity International and the American Council of Life Insurers. He holds a Bachelor of Science Degree in mathematics from the University of Wisconsin — River Falls — and has completed the Harvard Business School’s program for management development. Hewitt and his wife, Sue, have two adult children and live in Minnesota. Learn more about Brad Hewitt and Thrivent at www.thrivent.com, Facebook (Thrivent Financial) and Twitter (Thrivent). James Moline, Ph.D., is a licensed psychologist who has built a 30-year career providing leadership and management consulting to global companies. 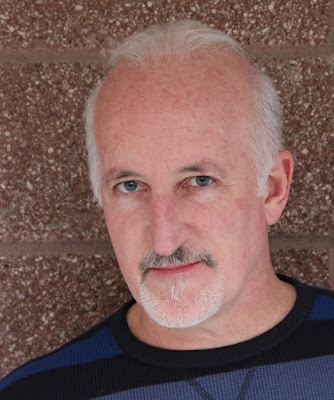 Moline earned his Ph.D. from the Fuller Graduate School of Psychology, and he also holds a Master of Arts in theology from Fuller Theological Seminary. He and his family live in Minnesota. Learn more about more about Your New Money Mindset at www.newmoneymindset.com.